Source: e-galley from the publisher - thank you! At first glance, one may consider this book to be a "cutesy" read wrapped up in a pretty little bow. I admit that I fell victim to that judgement before I even read the first page. But then as I dove into this novel, I soon realized there was so much more to this story than just a summer romance in Italy. The main character Pippa struggles with her own identity, separate from her parent's expectations, and the complexity of what it means to choose your own destiny. There's a strong presence of friendship, family loyalties, and opening one's self up to new experiences. All of these themes are set against the beautiful backdrop of Italy, which is so rich with description that it leaves the reader feeling as if they are present, witnessing Pippa's grand adventure. Pippa has been sent to spend the summer in Italy to study at an art school, per her mother's insistent suggestion. But as soon as Pippa arrives, she soon realizes that she's miles away from her parents, and the possibility of determining her own fate now lies in her hands. On a whim, and with the help of some extra euros, she decides to ditch the art school plan and take off on an adventure of her own, traveling around Italy. To help guide her, she's taken along a journal from her best friend Morgan that has rules for Pippa to follow, rules that are meant to bring Pippa outside her comfort zone. Before she can conquer that list, Pippa finds herself wandering into a gelato cafe, craving the most delicious Italian ice cream. Just as Pippa is beginning to question if she should trash the art school plans and succumb to a summer of unknown adventures, she meets Darren, an American boy who is spending his summer in Italy as part of a internship-like experience before college. This chance meeting quickly evolves into a friendship that ironically keeps them running into one another as their summer progresses. Each decision that Pippa now makes turns into a series of experiences. She ends up in a beautiful Italian village by the sea, staying in a room with an Italian family who has taken her in as one of their own. Darren resurfaces, bringing with him emotions Pippa wasn't expecting, but isn't exactly deflecting either. It was so easy to get lost in the Italian summer that Pippa has spontaneously created for herself. The amount of research this author has done to paint the beautiful portrait of Italy was so well done. Attention to detail is not missed, even in the delicious description of gelato. Which by the way, I highly recommend having some on hand while devouring this book. As the story progressed, so did the anxiousness of what will come of Pippa's summer. What will happen once she has to return home? Will she stay true to the new, well-grounded, clear-headed Pippa? Or will she fall victim to the old ways of following her mother's commands, and losing herself to make others happy? 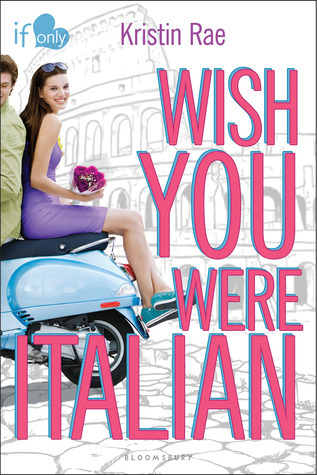 WISH YOU WERE ITALIAN is a very well-rounded YA contemporary that will appeal to readers of all ages. The story is rich with adventure, bursting with romance, and rooted with strong themes present through out. Pack your bags and get ready for this novel to take your heart on a literary vacation you might never want to return from. Loooooooooooved this one! Also, I want some of that gelato. Mmmm. Oh wow, I definitely would have assumed this was a light fluffly read. I do love those. But it seems like there is a lot more to it. I hadn't been planing on picking this one up, but I might give it a read now! Great review! Basically, I adored Wish You Were Italian just as much as you did! 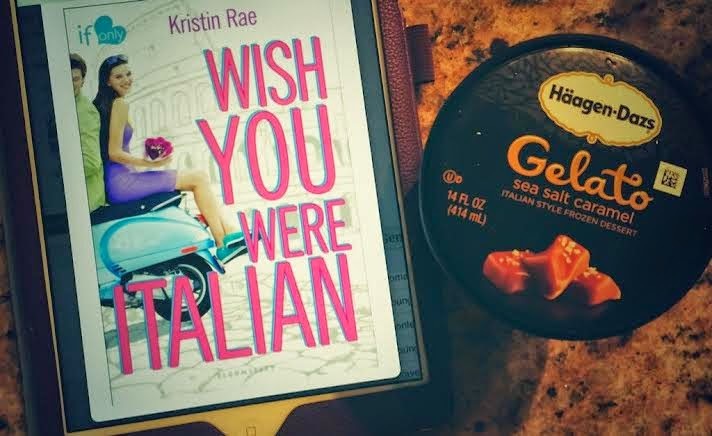 It's such a fun contemporary read, and it's even better that it's set against the backdrop of beautiful Italy -- and that there's tons of gelato to boot. I loved this one!! It totally made me want to plan a trip to Italy and I totally went out and bought me some dang gelato. :D Great review, G!